"Fikken" is the informal synonym for "branden" ("to burn") in its translation of "to be on fire". Both "brand" and "fik" mean "fire" (as in "a fire"), but again "fik" would be informal. The noun for the phenomenon "fire" is "vuur". A related verb is "affikken": to burn down/out. They say that Dutch and German are similar, but in this case it is far from true (inside joke for our German readers). There are a few expressions with the noun "fik" and not the verb, but I have included them below anyway. – "Zo, dat fikt goed!" – "Marcs auto is gisteren bijna afgefikt." – "De ene houtsoort fikt beter dan de andere." – "De fik erin! ": burn it (down)! – "Een fikkie stoken": to start a controlled fire, to set something on fire. This is not your arsonist type of fire but usually kids setting a few things (twigs, garbage etc.) on fire. – "Laten we een fikkie gaan stoken!" – "Nee man, dat is veel te gevaarlijk!" – "In de fik staan": to be on fire. Usually for things, not persons. The formal alternative is "in brand staan". – Branden: [verb] [brandde, gebrand]. – Brand/fik: fire [noun] [de brand/fik, de branden/fikken]. – Vuur: fire [noun] [het vuur, de vuren]. – Lucifer: match [noun] [de lucifer, de lucifers]. You can also use "Lucifer" for Lucifer the devil. – Afbranden/fikken: to burn down/out [verb] [brandde/fikte af, afgebrand/fikt]. 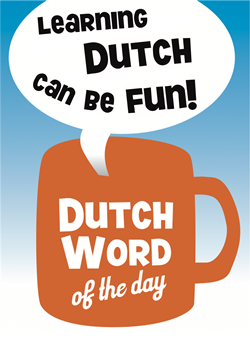 This entry was posted in Dutch word of the day, DWOTD 1.0, Vocabulary Intermediate by Sander. Bookmark the permalink. Je vergeet dat fikken ook handen of vingers kunnen betekenen.